ONE THING FOR SURE IS THIS: as a blogger or website owner, you need traffic( influx of people to your site or blog) and I'm sure you know there are a lot of ways to go about that [one being optimizing your blog post or content for google(SEO)]. There are many ways to the river you know. So, apart from optimizing your content for google, social media can also be a very good source of traffic. But this way is highly neglected or tapped into by BLOGGERS. 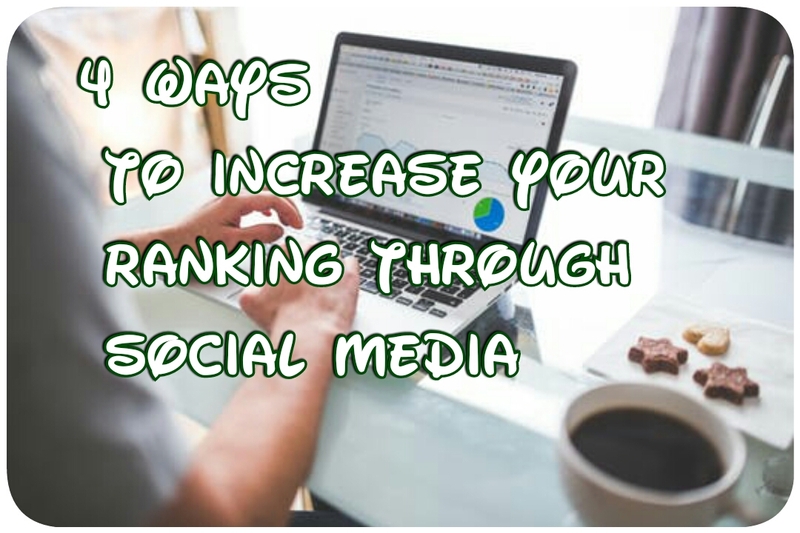 With the rate at which bulk of the world's population make use of Facebook and the likes, increasing your search rankings through social media will be a reasonable thing to invest your time in. But, not to worry, we've provided specially for you 4 ways you can use FACEBOOK, TWITTER and many other whatnots to increase the search rankings of your blog/website. There are different social media platforms with different WORD COUNTs. Take for instance, Facebook. With Facebook, you have the freedom to churn out WORDS as much as you can. Howbeit, it's expedient for you to know and note that the lesser the words/characters, the more likely it is to attract people. Twitter comes with a different package. There's a limit to the characters, which is 140. So, you would do yourself a whole lot of good to input the striking words in your post when sharing on twitter. Pinterest is a little different from the social media platforms mentioned above. It's all about images. It would be good for you to input your blogpost title in your well designed image before you pin it. And mind you, there are -pinnable and non -pinnable images. TO increase your blog's visibility on google and other search engines through your social media accounts, you should make use of keywords to drive your contents. Search for keywords related to your new article and insert it in different positions that are reasonable in your blog post. DO NOT CONTINUE TO SIDELINE THE POWER OF MINCING WORDS. When you are done with posting, don't just share on social media platforms. Do a proper word coordination before sharing your latest blog post. The post you share must be captivating for people to click. So do a proper word coordination before hitting the share button. Furthermore, it's advisable to input a paragraph or an aspect of your blogpost that strikes the audience and summarises all what your blog post is all about. DON'T always expect or assume people know what you want them to do when they come across your post on social media. Sometimes, it's advisable to let your audience know what you would like them to do. That's where you employ words like; ' read', ' share', ' read and share', ' check this out', ' pin it', ' tweet' and many others that you can lay your hands on. Now, If you find this of a great help, why don't you share with others who might find this needful.